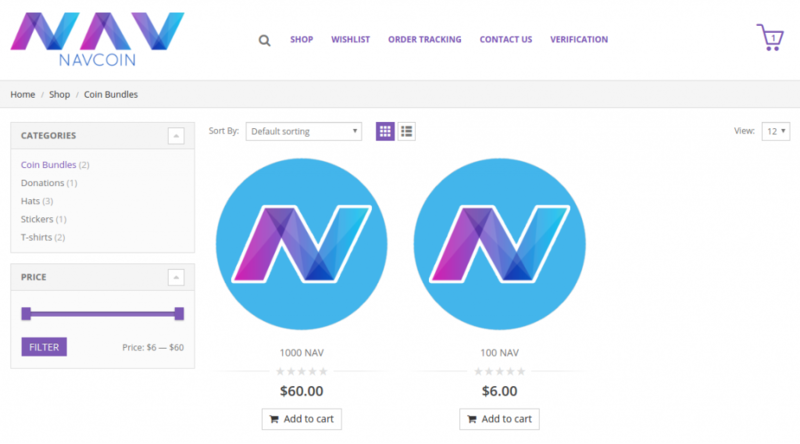 NAV Coin is a digital currency which is based on Satoshi Nakamoto's open source Bitcoin Core. The system is peer-to-peer; users can transact directly without needing a centralized authority like a bank or credit card issuer to verify transactions. When a transaction takes place, it is recorded on a decentralized public ledger called a block chain. These transactions are peer verified by other users of NAV Coin through a process called mining. Anyone who opts into mining is rewarded with NAV Coin for their efforts. With NAV Coin, you are able to send money to anyone, anywhere in the world within 30 seconds and all for only 0.001 NAV Coins per transaction. What is the NAV Anonymous Network? NAV Coin is the worlds first fully anonymous cryptocurrency. NAV Coin offers optional anonymous transactions that are sent through our double encrypted network of servers which all run on decentralized block chain technology. NAV Coin has been a publicly traded cryptocurrency since Mid 2014. We have successfully processed trillions of coins worth of transactions without a hitch. Our anonymous system has been fully operational since it launch in March 2015 with an unclaimed Bitcoin bounty for anyone who can crack its system. Where can I trade NAV Coin? On the 26th of September Nav Coin released the Navtech Whitepaper for the re-release of their anonymous network. The 23-page document was written in impressive detail and explained the design, technology, and math, behind the simple tick-box anonymous send system. The groundbreaking design uses double blockchain technology and coin sending methods together to form an advanced anonymous sending system not before seen in the Cryptocurrency world. Want to know the scoop and don’t have time? The white paper consists of five parts. The first being an introduction describing the core values and perspectives of the development team behind the anonymous sending system. Part two provides us with a high-level overview of anonymity within the realm of cryptocurrencies. Discussed are current methods used for anonymous transactions and their associated problems. Part Three gives us an overview of Nav Coins solution to these problems. In Part Four we get down to the real technical stuff. Broken down into 11 subsections are details of every aspect of Nav Coin’s system right down to error handling. Part Five outlines the key benefits of the system and gives us valuable insight into the future growth and uses cases of the anonymous system. This section concludes with a summary. The Nav Coin team firmly believe that financial privacy is a democratic right, and aim to provide a way for everyone to have this economic freedom. They cite the example of journalists working in an oppressive country who can be persecuted for publishing dissenting views. In this section, the paper talks about the need to create truly anonymous transactions whilst retaining the decentralised values that cryptocurrencies are built on. This is no easy task. Blockchain technology is by nature a public ledger. This poses a problem for those who want financial privacy, and that should be all of us. The blockchain is a piece of autonomous financial technology. Furthermore, it’s a peer-reviewed publicly available transaction record. Highlighted are the two main dangers associated with a central database. I’ve put them under 1 & 2. A centralised database is of course at odds with the decentralised nature of the blockchain. This section of the white paper involves some pretty complicated theoretical concepts. I’ll try to break them down into chunks. The Nav Coin anonymous send system or ‘Navtech’ as it’s dubbed in the whitepaper uses a unique technique to disconnect the sender and receiver. The essence of Nav’s anonymous system is the use of a secondary blockchain or ‘Subchain’. In simple terms, your Nav Coins are sent to the Subchain rather than straight to the receiver. You could think of this like exchanging currencies. You hand coins of one currency over to a teller and receive completely random new coins of a different currency from a large pool. It is through this process that the link between the sent and received coins is broken. ‘Instead of sending NAV directly to the receiver, the wallet encrypts the receiver’s address and sends the transaction to one of the addresses provided by the randomly selected processing server. When this server receives this transaction, it creates a transaction of arbitrary size on the Subchain which it sends to a randomly selected outgoing server. This Subchain transaction has the receiver’s address and the amount of NAV to send encrypted and attached to it. When the outgoing server receives the Subchain transaction, it decrypts the data, randomizes the transaction amounts and sends the NAV to their intended recipient from a preloaded pool of NAV that is waiting on the outgoing server. Any questions before we keeping going? Encryption is a way of encoding data so that only the intended recipient can use it. Navtech uses RSA encryption which is extremely secure and is a favored method for making sure data is secure. What are these random servers? The Nav Coin team offer multiple incoming and outgoing servers which are picked at random to make the trail even harder to follow. Once the system is decentralized, other people will be able to set up their own processing groups to increase choice and higher levels of redundancy. Why does it create a transaction of arbitrary size? This is to prevent an outsider watching the blockchain. Drawing circumstantial evidence by matching sent and received amounts. So there’s two random servers? Yes the random incoming server is selected when your wallet creates the transaction. The random outgoing server is selected when the incoming server processes the transactions. The traveling coins carry a secret bag of info? Yup, that’s how the right amount of Nav eventually ends up in the right address. Encryption information attached the transaction that the subchain let’s the Nav pool know about. Even with the most powerful supercomputer in the world cannot crack this encryption. So the Nav they receive isn’t the same Nav I send? Correct! The receiver of the anonymous transaction will be paid out of a large pool of coins on the Subchain before that pool even receives the sender’s Nav coins. This means speed and security. Are multiple transactions lumped together and sent at the same time? Yes. Again this prevents circumstantial inference. All transactions sent within one transaction cycle will be lumped together and travel across the Subchain as one sum to replenish the Nav pool. What’s a transaction cycle and how’s it relevant? A transaction cycle is simply how often the servers check for and process the waiting transactions. Currently, the transactions are processed every 2 minutes on each server, giving the whole system a round trip time of approximately 5 minutes. Harry potter wins. Sorry for the spoiler. Don’t worry if you get overwhelmed here. Some parts are just troubleshooting. The Nav Coin Developers have a very thorough process of safeguarding their work. They start with the high-level problems then work their way down to ‘what if ant crawls into a server?’ etc. This section is definitely for the kids that want to do further reading. I’ve given a brief description and clarified a few terms. I’d highly recommend checking out the diagrams if nothing else as it gives clarifying visuals of the system outlined above. Let’s look at the main points from the Solution Details section below. For the coders among us. 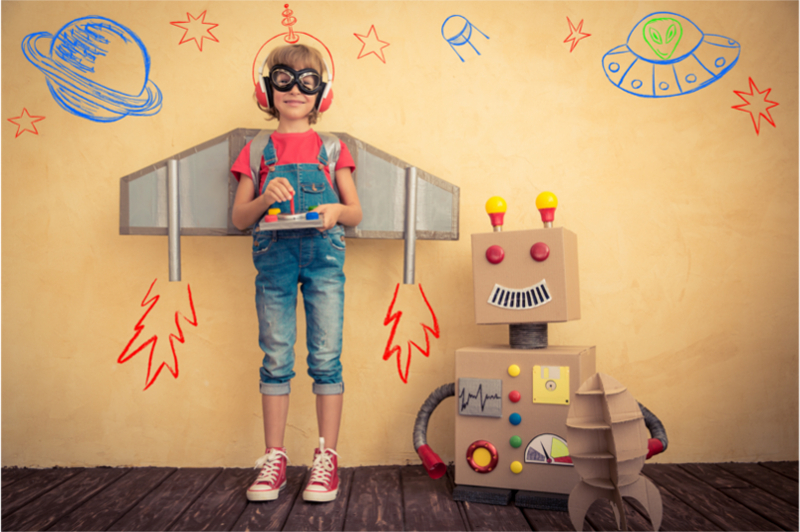 This section lists the languages, frameworks and platforms used to create Navtech. These two sections are largely relevant for people wishing to be part of this awesome technology and set up a Navtech processing server group. Note: The d in ‘navcoind’ and ‘subchaind’. Navcoind is the command line version of the Nav Coin wallet, it is what the processing scripts give instructions to when reading and sending transactions. The important thing to note here is that each server runs its own API, so there is no single Navtech API and hence no single point of failure. We will group with following sections together. Creating the Wallet Transaction; Receiving and Processing the NAV on the Incoming Server; Sending the SUB to the Outgoing Server; Receiving and Processing the SUB on the Outgoing Server; Sending the NAV to the Receiver; Returning the SUB and Replenishing the NAV Pool; Error Handling. These sections explain with great depth and detail the entire transaction processing system. As mentioned above the diagrams are of immense value to help understand how the transaction system works. I’ve pulled out the last diagram in the series of five. 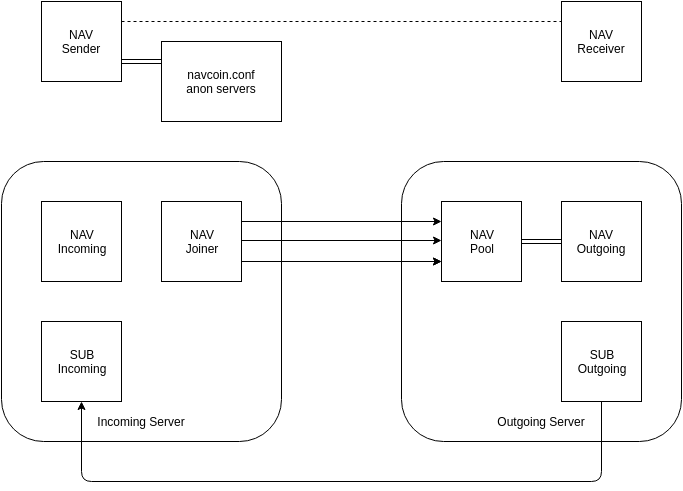 Although the arrows are illustrating the replenishing of the Nav Coin pool, you can see a layout of the whole subchain system, the sender, and receiver. The SUB are returned to the incoming server they originated from and the NAV are sent from the to the Outgoing Server which requires refilling. The technical benefits sections talks about the advantages of using this new cutting edge technology vs the old or ‘legacy’ technology. The genius of the blockchain, which Nav Coin itself is built on as are all cryptocurrencies is elegant indeed for many reasons. But mainly the reasons we’ve always loved it. It’s trustless and reliable. Notice the term ‘trustless’ is used in the context of the blockchain; this does not mean cannot be trusted but in fact that you do not need to trust it because it verifiably works. There are a few interesting things to note here. One being that Navtech servers contributing to the anonymous system will gain a small payment from each transaction fee. This could add up to significant volumes if a lot of transactions are processed. Secondly, that Navtech can be adapted to be used by other cryptocurrencies. Nav coin will release a new world class uncrackable anonymous system within the next few weeks. The anonymous sending feature will be compatible with decentralisation, meaning there is no central server (single point of failure). Nav Coin having rebuilt their anonymous send service with this development in mind will likely decentralise it in the weeks following its release. It will be the first cryptocurrency in the world to create a decentralised fully anonymous sending system running purely on blockchains. 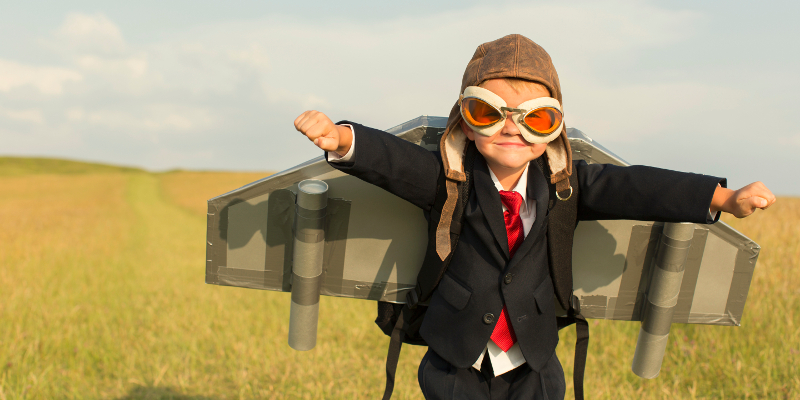 The white paper shows as that Navtech is utterly real and actionable. Also, other developers have the opportunity for peer review. From a technology point of view, it is exciting. From an investment point of view it portends an increase in value. Last week the Nav Coin team released the white paper for their new anonymous send system and began beta testing. The relaunch of the anonymous network is scheduled for public release later this month. Nav Coin developer Craig MacGregor announced that the first round of beta testing has been successful. The Nav team are currently expanding the test group for phase two. The Nav Coin Foundation announced today on their forum that they would release their new anonymous send system on November 1st. The Nav Coin Foundation rarely gives set dates for their technology releases, which have been numerous in the past few months but wish to share this moment and have digital champagne with the Nav Coin community. Nav Coin developer Craig Macgregor has been working on the project since January this year, and states the technology will be a game-changer for private transactions in cryptocurrency. Last month Macgregor released a comprehensive white paper outlining the charter for Nav Coin and detailing the technology of the anonymous send system. This allowed time for the technology to be peer reviewed by other developers, which followed with unit and user testing to prepare the transaction system for public release. In the past, Nav Coin has offered a bitcoin bounty for anyone that could trace a transaction. The old anonymous system was never cracked, and the bounty was never claimed. The new anonymous send system has a greater level of data obfuscation, is built with the latest bitcoin code and has the capacity to be decentralized; which would be a world first. 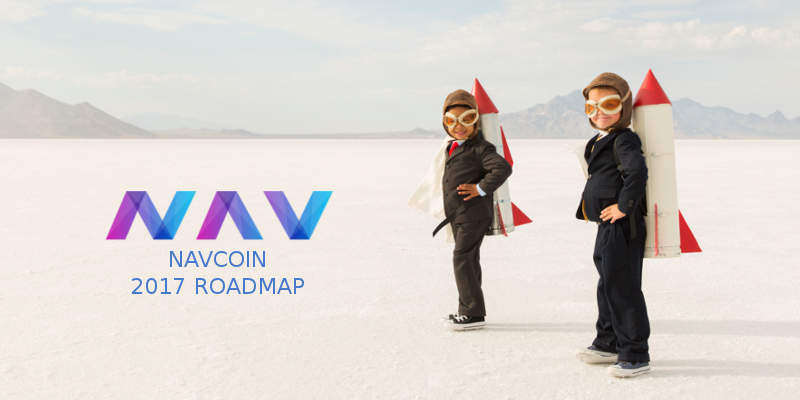 The Nav Coin team are aiming to decentralize the anon system early December. The Nav Coin Foundation, the anon-system test team, and Nav Coin’s highly supportive community are proud to announce the release of the newly upgraded network. Dubbed ‘Navtech,’ the network boasts a dual-blockchain powered, anonymizing, value transfer system. The Nav Coin team has spent the last two months putting the final touches on the new anonymous system. This is big news not just for Nav Coin enthusiasts, but online communities as a whole that are interested in anonymity, blockchain tech, and value transfer solutions. Today’s launch was a critical piece of the puzzle for Nav Coin in preparation for the upcoming decentralization of the anonymous network. The decentralization work will continue immediately with the Decentralisation Whitepaper slated for release in early November. When the system is ready, trusted server operators will join the decentralized network testing process. Shortly after testing is completed and the new system is running in a truly anonymous, decentralized manner, the network source-code will be released. Once decentralized, members of the public will be able to host their own processing servers and earn Nav Coins for the transactions the process. 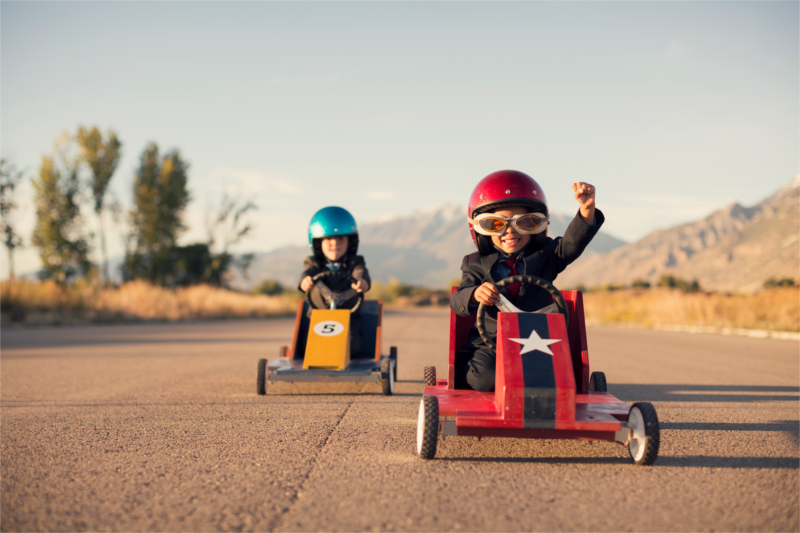 In addition to the optional anonymous transaction service, Nav Coin’s biggest strength is it’s super fast network speed. It’s no secret that Bitcoin has an average transaction time of 10 minutes, with transactions over heavy periods taking much longer. With a block time of 30 seconds combined and a scalable block size of up to 20MB, the Nav Coin network is able to handle 1300 transactions per second. Nav Coin fills a niche where the giant that is Bitcoin can’t at present, almost instant transactions and the ability for anonymity with the simple click of a tick box. An X13 capable, custom Electrum server that can create fully-qualified wallets, and will be released with the option for self-hosting. The NAV team will provide a website and service integration support if you need. A low-energy NAV PoS Staking solution based on the Raspberry-Pi platform. NAV’s highly anticipated touch-screen staking unit, offers a more energy efficient way to setup wallet a address, view your balance, and an easy to use withdraw option. The release of the new Navtech value-transfer system, was a key piece of the decentralization network implementation. The new architecture allows Navtech servers to operate in trusted clusters and form their own private mesh network of processing servers which anyone will be able to run and earn rewards from. These status numbers represent an agreed completion grade given to the project by the core devs, volunteer community devs, and when necessary, the community test participants. This method of voting by group has helped the NAV team meet every goal earlier than expected, and within a reasonable two-week period when releasing later than expected. To learn more about the design of the new network head over to http://navcoin.org and have a look at the whitepaper. If you’re not very technical or you just don’t have the time, please take a look at the whitepaper cheat sheet. Any questions or concerns about the current or future iterations of Nav Coin can be addressed in the Nav Coin bitcointalk forum thread, Slack channel, or Twitter. The navcoin.slack.com is open for any and all questions regarding user or node setup. Join the channel #navajocoin-faq if you’re a new user or maybe you’re just curious and would like some information. 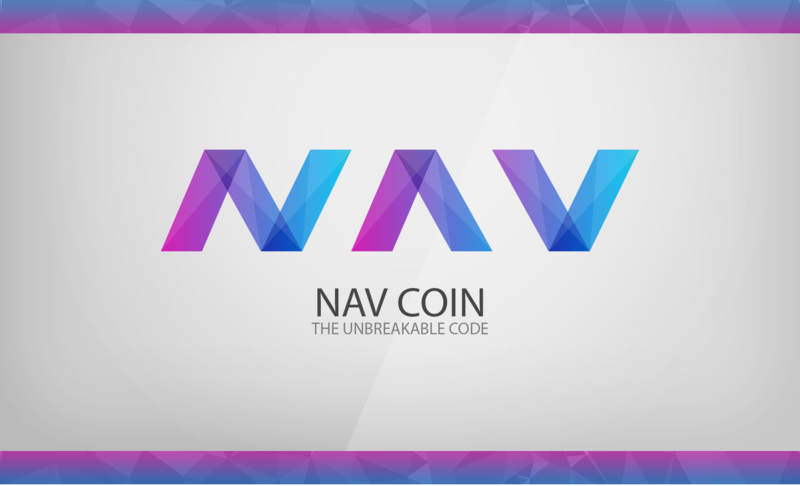 For guides and general help regarding NAV wallets, nodes, source-code, or platform-specific guides, please visit http://navcoin.org/guides. Although highly-technical questions are welcomed, and encouraged, please understand that the NAV team will only answer these types of questions in the official NAV BitcoinTalk thread https://bitcointalk.org/index.php?topic=679791.0 . This is so there’s a public record of all technical related responses regarding NAV, Navtech, and the upcoming network upgrade. Don’t be discouraged to join yet another site. Come ask questions, play around, or even troll our community. As long as it’s all in good spirit, we need more people to try and break our code, network, wallets, and anything else you can think of. 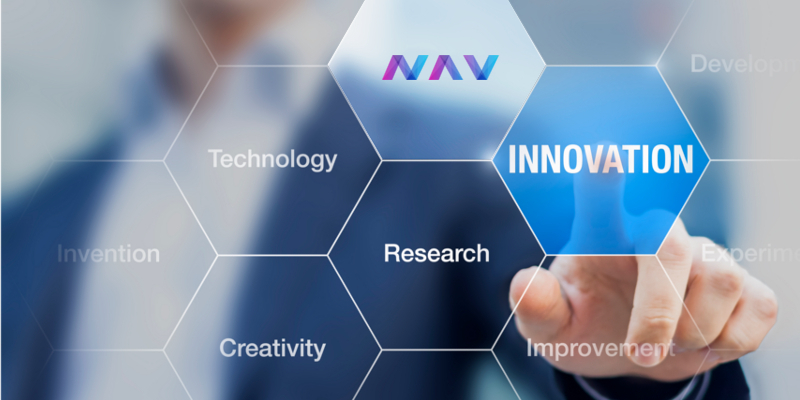 Rewards are granted for bug-hunters, cryptographers, network specialists, professional security researchers, or just some wise guy with skills, so feel free to collect the bounties listed on the official NAV website at http://navcoin.org/bounty. It’s time for the weekly update! This one is absolutely jammed with good news. We are very proud to release the Navtech Decentralisation White paper which covers how we plan to decentralise the Navtech System. How we will provide a safe and secure environment for both server operators and users alike. Cryptocurrency technology is decentralised by design. It is believed that rigorous truth is a natural byproduct of an open source platform run by the public. The decentralisation and automation of systems enable people to make informed choices about the systems in which they choose to participate and provides an even playing field as never seen before in history. As well as the inherently democratic nature of decentralised systems, they offer protection to the participants by providing a safety in numbers hypothesis. This limits the ability of malicious actors to threaten or attack participants in the system due to the number of people involved and the global nature of their relationships. Another advantage is that they are extremely robust. Once a piece of software has entered the public domain, it becomes impractical and virtually impossible to shut down completely. This enables security to the future of the system and knowledge that if the public deems it valuable it will persist. Please keep in mind this is a beta document. The rest of the team still need to refine it with me but that will be very minor tweaks at this stage. accepts NAV as a functioning showcase of the gateway! So far there are only NAV stickers available and also a donation option. I have also added two colours of t-shirts and hats but I am still waiting on some companies to come back to me with some prices of each I would expect them to become available within the week. The donation option is a cheap and easy way to check out the payment gateway and it will be put towards future development and server costs. The interesting thing here is that I have trialled purchasing some donations using the Navtech Anonymous System and it worked except it was hard to get the amount exact because of the way the tx-fees work with the random amount of transactions generated by the anon system. I spent some time today coding an update for the Navtech servers which means the tx-fees are taken from the anon processing fee instead of from the senders coins. This means that the amount you get out will be exactly the amount you put in minus the processing fee (0.5%). For example, if you want to send 1000 NAV through a server with a 0.5% processing fee, it will tell you that you need to send 1005.02512563 NAV in total. Pretty handy, especially for these merchant tool situations. With the Navtech script update deployed and the fee calculator, I can say that we now have not just a Merchant integration, but in fact an Anonymous Merchant Integration!! 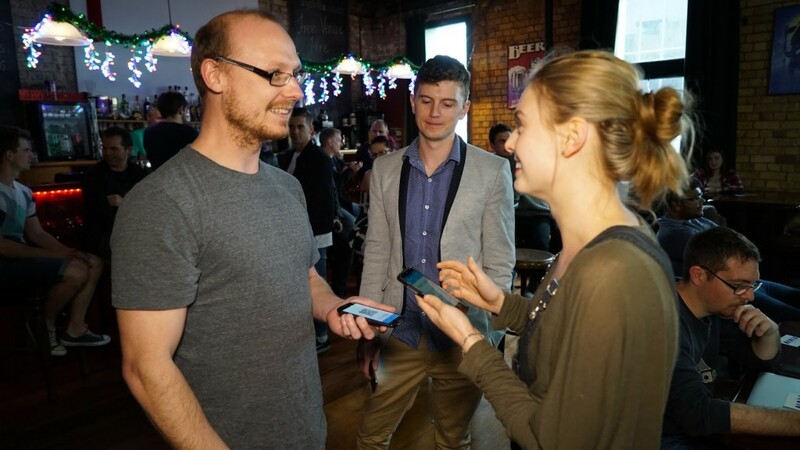 Myself and Mark and Sophia are making contact with business owners in our city of Auckland who are interested in using CoinPayments.net and NAV for payments with the Point of Sale tools. One bar owner has already positively responded and we are meeting with him tomorrow to work out the details of implementing NAV at his premesis. Petros Anagnostou has advised us that he is setting up a web hosting company and that he will accept NAV through CoinPayments.net. Petros will be offering a discount for services when paid for in NAV. There will be more details on this as the service goes online later this week. Petros is also going to be one of the first 3rd party network operators of the decentralised Navtech system. He has offered to help beta test the system as a network operator and help us get it ready for launch. You can check out more about him on his linked in profile, he has quite the resume and I am really pleased to have him on board for this. We are still looking for at least 1 more network operator to take part in the beta test of decentralisation over early December. If you have access to some web servers, you know your way around linux and you want help, please send me a PM. Petros is actually being amazingly helpful. He has suggested that we start up an Ambassador program for NAV. We have had the translations of the OP which is a good start but now we are looking to place ambassadors for NAV Coin all around the world. There will be some NAV bounties dished out to ambassadors, but it is mainly a role for someone who is invested in NAV and wants to see it succeed. That’s about everything i think. We will be publishing some articles on the news blog and also across some of the news sites later in the week to support the whitepaper release and the store launch. Keep your eyes peeled for those. I gotta go, its almost 6am here. I will post this update and some of the articles up tomorrow after I have big sleep! The NAV Coin team and NAV community are happy to announce a new merchant gateway integration. 77,000 and growing, online and offline retailers now have the option to use NAV Coin as a payment method. This has been made possible by CoinPayments.net and their retail partners who allowed the public to vote for NAV Coin to join the payment processing platform. CoinPayments are at the cutting edge of this exciting frontier and have opened up a vast range of new spending avenues for people interested in cryptocurrency. Online decentralized marketplaces are exploding in popularity, and NAV Coin with its super fast speeds and anonymous transactions is the perfect digital currency for this new generation of e-commerce. Using the mobile NAV Coin wallet, you can make in-store purchases using your phone or tablet at all retail partner locations. Online purchases can be made with any wallet of your choice, at your convenience. Users also have the option to purchase from online merchants with complete anonymity by using the NAVTech wallet and dedicated Nav Coin Tor nodes. For a full list of supported stores, please visit the CoinPayments store directory (https://www.coinpayments.net/store-directory). If you’re looking to add NAV Coin as a payment method for your store(s), you can do so by going to the merchant tools page (https://www.coinpayments.net/merchant-tools), and then letting your users know that your store now accepts NAV. As more people learn about why NAV is important, both inside and outside the Fintech industry, more people will be willing to use it for everyday purchases. With this new merchant integration, new and existing NAV Coin users will be able to benefit from the large selection of sellers now available. Please try using NAV Coin and let us know if there’s anything we can do to improve your overall experience. This year was a great year for Nav Coin, however, there’s more to come in the following months. Here’s what we have planned for the coming weeks. An X13 capable, custom Electrum server that can create fully-qualified wallets, and will be released with self-hosting options along with integration services. This touch-screen staking unit offers a wallet address setup, a balance viewer, and some transfer options. The new architecture allows NAVTech servers to operate in trusted clusters and form their own private mesh network of processing servers which anyone will be able to run and earn rewards from. 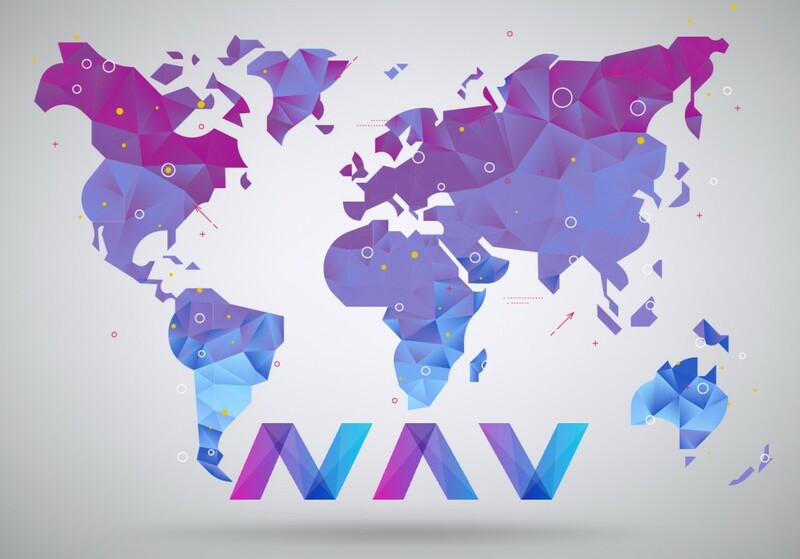 Thanks for reading and please visit navcoin.org to learn more about the Nav Coin network. We are very busy at Nav Coin HQ working on the wallet and anon scripts preparing them for decentralisation. Despite decentralisation being our focus, we have managed to achieve some other pretty cool things this week. We have seen a large amount of attention come from last week’s release of the Decentralisation Whitepaper and the Nav Coin Merchandise Store. Our retweets and mentions are going through the roof. On twitter alone we’ve had almost 2000 interactions reaching nearly half a million people since the 14th of November. LiteBit offers Euro / Crypto trading pairs and will be Nav Coin’s first addition to a large fiat based exchange. LiteBit has over 25,000 users and also more than 600 merchants using their LitePaid service. As well as the LiteBit exchange, this means NAV will also have its second option for merchant gateway with reconciliation options in BTC and Euro. As soon as I get the launch date for LiteBit I will let you all know but i would expect it to be a matter of days. Alongside working on the decentralisation implementation we are always looking for ways to improve our Navtech system. One improvement which has been on my agenda is to find further ways to obfuscate possible metadata inference by state level actors. One part of the solution is to add delta to the Navtech throughput to make it exponentially harder to infer cash in cash out. I am working on a solution which would allow users to send 1 transaction into the Navtech system with a user specified number of output addresses (1 – 6 NAV Addresses). These output addresses are attached to the incoming transaction in the exact same way as when there was just 1 address specified and it is impossible to tell how many addresses were attached without decrypting the data. The Navtech system would then process the transaction and randomly split the input amount between the addresses which were attached. Because the number of attached addresses is user defined, it makes monitoring the throughput exponentially more arduous. Beyond this delta obfuscation, I would also like to program a feature that continuously sends Navtech Anon transactions through the system to help mask inference during times of low throughput. I am hoping to have these things done by the time we decentralise but decentralisation is the priority and we will continue to release updates after the genie is out of the bottle. Planning is complete and we are now moving into the production phase of our Promotional Videos. The strategy is to produce one main “Introduction to Nav Coin” promotional video followed by 3 or 4 whiteboard style videos to explain the various different technologies and features which make Nav Coin awesome. Our writers, animators and editors will be working hard to complete these as soon as possible. We are hoping to have these ready for release in the lead up to the decentralisation of the Navtech network. Colvano has put together an amazing infographic which helps to visualise how the Navtech System processes transactions. The infographic has been added to our official Nav Coin media kit on github. Feel free to use this infographic or anything from the media kit however you like. If you want to help create some awesome content like this, join us on slack and share your skills! We have received quotes back from our printers to design and print the Nav Coin branded t-shirts. They will be launched at $21.50 USD + shipping. I will get a shipping quote tomorrow and then setup pre-orders for the t-shirts. They take 10 working days to print, so you will be able to lock in your order now and we will dispatch them as soon as they are ready. 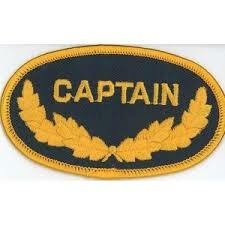 Moving forward we aim to have them in stock so they will be able to dispatch immediately. I will attempt to do the same with the hats when the quote comes through, so keep your eyes peeled and put in your pre-orders when they are available. We realise that there have been some projects on our list which have been stuck at near complete for quite some time. Right now our primary focus is on the Navtech decentralisation, but we will continue to try and finish these projects and get them released as soon as possible. Soopy and Shahim should come with an update on the status of the syncing issue, raspberry pi and web wallet in the next few days. So please hold tight and watch for their updates. As you can see, we are not letting up on the gas pedal here at Nav Coin HQ. We continue to work hard and bring as many cool things to the table every single week we work on this project. We still have some exciting things up our sleeves leading up to the decentralisation of the Navtech network so stay tuned! It’s time for the weekly update! We are tracking well towards our primary goal of decentralising and open sourcing the Navtech Anon Network. I also have some exciting news about a Nav Coin event we are hosting in December! I’ve also got the Navtech JS scripts to successfully minify to one file using webpack. This means the next step is to hash the minified file and send it back with as part of the API request from the wallet to the server and do the comparison in the wallet. I also want to do some refinement around refilling the NAV Pool on the outgoing server. Beyond that its just general refinements and as always more unit tests! At this point we are on track with my estimates to finish this before Christmas. We’ve been in contact with some local businesses here in my hometown of Auckland New Zealand and one of the local pubs is wanting to accept Nav Coin via CoinPayments.net as one of their Point of Sale methods. To celebrate our first physical merchant accepting NAV we are going to host New Zealand’s first Nav Coin Conference at the pub on the 14th of December 2016 in Auckland New Zealand. The full details of the conference will be released tomorrow! I can tell you that it is going to be a great showcase of the Nav Coin Point of Sale offering. It will be a great end of year celebration for the Nav Coin community, we really have come a long way this year. We will also use it as a platform for the development team to announce the roadmap for 2017 and to celebrate the upcoming release of the Decentralised Navtech Network all things going well. If you’ve been using the full node wallet you will have noticed that it often only gets a few connections and sometimes even no connections. Soopy and Shahim have been working hard to put together a fix for this. The fix consists of two parts; implementation of the i2p protocol and fixing the dns seeder scripts which seed the p2p information to the clients. The i2p protocol has been implemented into the wallet and they are now looking into fixing the dns seeder. We are hopeful to release a new version of the wallet with these protocol updates in the next few days. We now have 4 merchants accepting Nav Coin via CoinPayments.net. I have myself purchased a VPN service through Tor Guard with NAV and it all seems to be working great. I have added a page to the website which displays all known merchants who accept Nav Coin. We will attempt to keep this list up to date, but if you know of a business which isn’t on the list please email us and we will add it: [email protected]. I have started to port the Nav Coin website over to use prismic.io as its CMS. It’s a really nifty free form JSON based CMS system which fits perfectly into our use case. Our website is quite bespoke and other options would just take too long to integrate. I have only managed to port a few of the pages over to the new system so far, but I will continue to chip away at it over the next few weeks. Once it is all transitioned the marketing team will take the reigns of the website a bit more and work towards making the content on there amazing. I have also added an “On Hold” category to the projects listings. This is a category for things which we have started but have put on the back burner while we clear more important tasks from our In Progress list. I figured it was better to be more transparent about what we’re specifically working on rather than having a lot of projects sitting at the same percentages for a long time even though we’ve started on them. where my mouth is. I have also donated to the NAV balance here, rounding it up to 50,000 NAV. 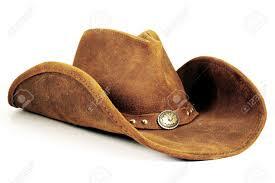 So that makes the bounty currently worth approximately 3 BTC in total. You are welcome to add your donations to the bounty program to add incentive for people to help us improve the system. Remember that the point of bounty systems is not to tear the system down if an issue is found, but to fix the issue and move forward. We are grateful for all the help we received over the beta testing phase and we are optimistic that when we release the code to the public the development community will review the code and make suggestions for improvements which will make it even stronger. These have been sitting at 95% on our progress chart for some time now, the main reason being that we have been so busy with core and anon work we had to deprioritise finishing them over other work. I can tell you however that they are indeed very close to being completed. I have just had play on the preview version of the Web Wallet and I do have to say that it is looking great. I am really excited about this and i think it will make a great addition to our family of options. The Raspberry Pi Staking Unit is currently being blocked by the Full Node Sync Fix. Once the fix is in place it should clear the road to finish the Raspberry Pi unit quite quickly. I am hopeful we will get both of these projects squared away this side of the holidays. That’s it from the team this week. We hope to have more news about decentralisation, the ambassador programme and the new version of the wallet to you soon. To celebrate our first physical merchant accepting NAV and the upcoming decentralisation of the Navtech Anoymous Transaction System we are hosting New Zealand’s first Nav Coin Conference! It’s time for the weekly update! In parallel to Navtech Decentralisation and the Nav Coin Conference we have been making amazing progress with some other work which I will share with you here. NAV can now be bought quickly and easily with any fiat currency through PayPal. This option is ideal for non-technical investors who don’t want to sign up for a trading account. Nav Coin aims to end the year on a high note with the decentralization of their NAVTech network and a Conference in Auckland. At the Conference, Nav Developers will live-stream the platforms 2017 roadmap which includes a new feature that is expected to be a game-changer for the coin. We're pretty busy organising the conference this week but we have still managed to work on some things in parallel. We have been accepted onto http://c-cex.com and will be trading on there very shortly. C-CEX accepts USD and will be putting up a USD/NAV Pair for us. We have been put up for vote onto https://www.livecoin.net please sign up and submit some votes so we can get on their exchange! We have been added to LitePaid.com! This is the merchant tools service run by the LiteBit team. They offer integrations for wordpress and other website shops. They allow you to get paid out in EUR or convert to other cryptos as well. Lots of positive posts and articles about the Nav Coin Conference. I can't wait to show you guys what we have planned for 2017! All will be revealed tomorrow!!! That is about all for this weekly update. Changelly is an instant cryptocurrency exchange that allows users to exchange any of their listed coins to any other coin (e.g. NAV to BTC). NAVTech is Nav Coin’s anonymous transaction system. Its dual-blockchain architecture removes the link between sent and received coins as well as allowing integrations where coins of different types are processed through the network. NAVTech Polymorph is a fusion of the two platforms. It will enable users to send any one of 25+ cryptocurrencies anonymously through the dual blockchain powered NAVTech anonymous transaction system. 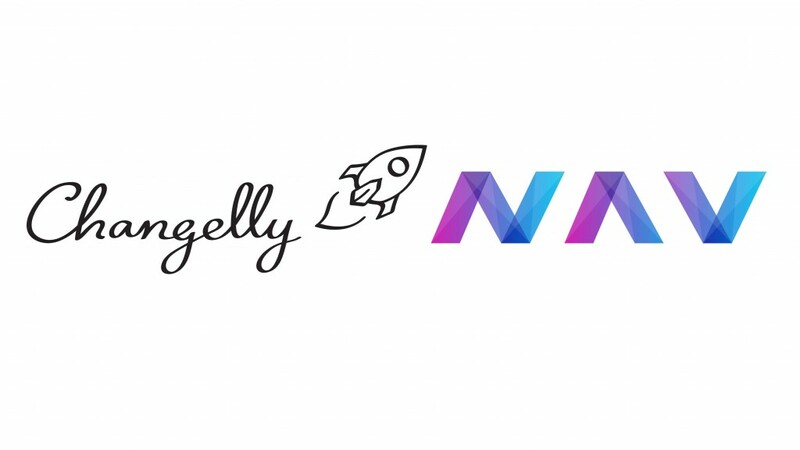 They will even be able to specify different input and output currencies to exchange any Changelly listed coins with the extra privacy that the NAVTech system provides. “I’m excited to give other cryptocurrencies the same financial privacy that many Nav Coin users are now choosing.” Said Craig MacGregor, the creator of Navtech. an enterprise grade purchasing platform called ‘Nav Coin Direct’ which allows users to purchase NAV using PayPal or other fiat currency services. Purchasers can also expect to see iphone thin client, android & iphone full node wallets released, and all wallets to contain NAVTech next year. The conference was also a celebration of Nav coin’s successful relaunch of the anonymous transaction system, known as NAVTech. Macgregor announced thatNAVTech would be decentralised on the 21st of December. The Nav Coin Full Node wallets are the most comprehensive Nav Coin wallets available. They store the entire block chain on your system and are not reliant on any other services to operate. If you want to send Anonymous Transactions and have your Nav Coin's earn stake rewards by participating in block mining, this is the option for you. 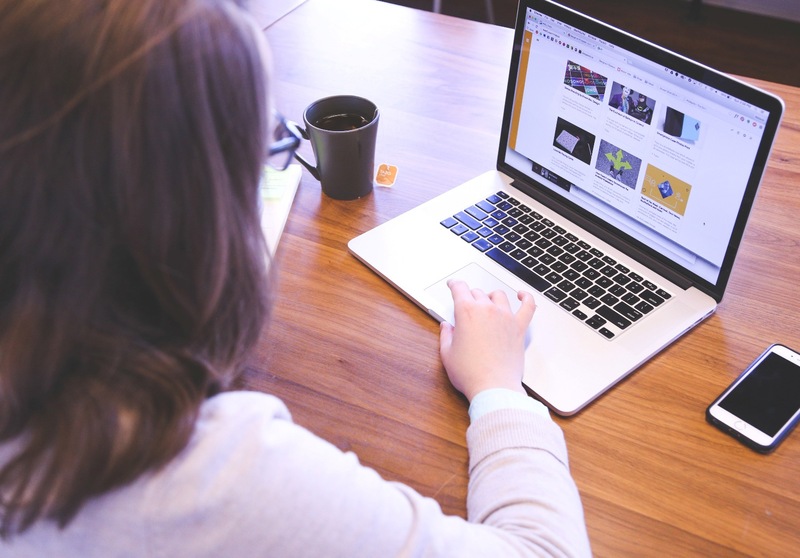 We have a full range of options which cover Linux, Windows and OSX. You can download the full node client here: http://navcoin.org/downloadsIf you're installing on Windows, we have two options available. The Windows Wallet Zip contains all the files needed to run the Nav Coin Full Node. The Windows Installer will install the Nav Coin Full Node wallet to your system and also download a recent version of the block chain to your system so you can skip boostrapping the blockchain and go directly to Adding P2P Network Nodes.Once you've downloaded the Nav Coin Full Node wallet for your operating system, we can either attempt to sync the blockchain from the beginning through the network or we can bootstrap the blockchain to a more recent version which we provide as a download. If you want to sync the blockchain through the network skip you can skip boostrapping the blockchain and go directly to Adding P2P Network Nodes.Please note that syncing the entire blockchain through the network can take up to a few days because there is a lot of data to process. We recommend bootstrapping the blockchain where possible. Step 8. Save and close this file. Restart your Nav Coin Full Node Wallet. If in the future you find that your Wallet is having a low number of connections, replace your addnode lines in the navcoin.conf file with the latest list from the block explorer.